The amphibious dock landing ship Gunston Hall suffered damage Monday during heavy seas off Iceland, causing minor injuries to some sailors and casting into doubt whether the vessel will participate in upcoming NATO maneuvers. 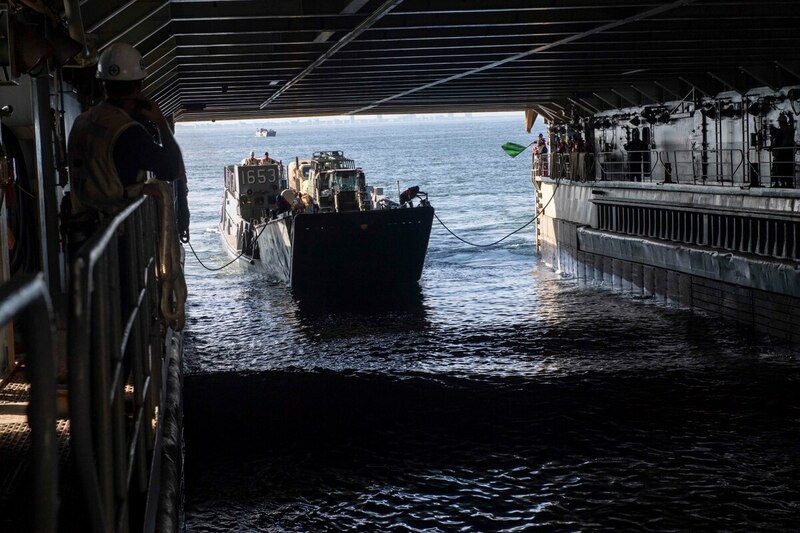 The U.S. 6th Fleet reported that the Gunston Hall’s well deck and several landing craft boats were damaged on Monday evening, but the injured sailors were treated and returned to duty. The 29-year-old Whidbey Island-class warship returned to port in Reykjavik, the capital of Iceland, for a damage assessment, according to 6th Fleet spokesman Cmdr. Kyle Raines. “The sea state was challenging, but not out of the ship’s limits,” 6th Fleet spokesman, Raines said in an email. He said there is no timeline for when the assessment will be completed. “The USS New York will remain in port until it is safe to get underway,” Raines said. It remains unclear what impact, if any, the sidelining of the Gunston Hall and New York have on Trident Juncture, he added. The New York and Gunston Hall joined the amphibious assault ship Iwo Jima in departing stateside home ports earlier this month. 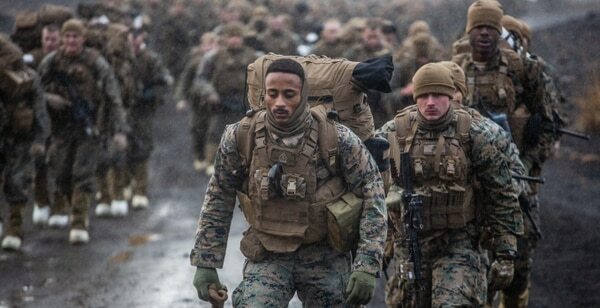 They are carrying roughly 4,000 sailors and Marines from the 24th Marine Expeditionary Unit. The Marine force aboard the ships is comprised of a battalion landing team, a composite aviation squadron and a combat logistics battalion. Trident Juncture is the alliance’s biggest exercise in decades. It sprawls across Norway, Sweden and Finland and is aimed at signalling resolve in an era of increasingly menacing actions by Moscow to the east. Kicking off Thursday, the exercise will “simulate NATO’s collective response to an armed attack against one ally,” NATO Secretary General Jens Stoltenberg said earlier this month. “And it will exercise our ability to reinforce our troops from Europe and across the Atlantic," he said. The U.S. military is heading to northern Europe to participate in Trident Juncture — the largest NATO exercise since 2015. Last week, the Iwo Jima Expeditionary Strike Group carried out a simulated air assault in Iceland, and then underwent two days of cold-weather training to prep for similar exercises during Trident Juncture. Marine Corps Commandant Gen. Robert Neller had said earlier this month that his troops planned to perform an amphibious landing on Iceland, if weather permitted. A Navy carrier strike group entered Arctic waters last week ahead of the exercise, becoming the first American aircraft carrier to sail there in nearly 30 years. Marine Corps Times reporter Shawn Snow contributed to this report.